MSN have launched their MSN Player video service here in the UK. It features video from a number of sources, such as BBC classic programs (Bottom, This Life …) and some Channel 4 content too (How To Look Good Naked, Derren Brown and so on). The great news is that it has wmv content, so it can be played on both PCs and extenders. The bad news is that it's just web based and hidden behind a layer of flash. Fortunately that's where TunerFreeMCE comes in. 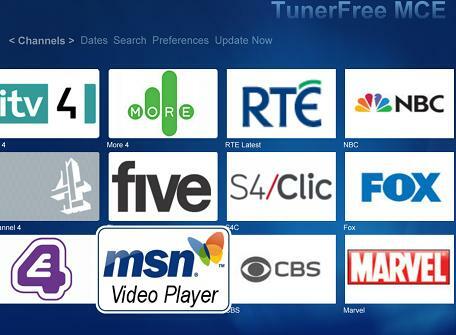 I am in the process of adding the MSN Player content to TunerFree, and should have a version to release in a day or two so that you can watch this video on your Media Center PC and extender. Watch this space. UPDATE: Version 3.1.0 is available now, which includes this functionality. You will be prompted to upgrade your existing installation, but ignore that – it's not working right. Instead, allow it to download but then exist media center, uninstall the old version and install the new version. Hopefully I will get the automatic upgrade working one day, but it's not today.